April 23, 2012 I wrote this email letter to the DA’s office to Vicki Hightower, Chief Deputy District Attorney, Special Prosecution Section, addressing concerns and frustrations. Four days later, this letter of determination along with an article by City Manager Scott Barber was posted on Scott Barber’s Blog Site. This letter was sent to Mary Figueroa, as opposed to myself directly, and is dated March 29, 2012. SCOTT BARBER’S POSTING: IT APPEARS THAT THE FOLLOWING POSTING HAS BEEN REMOVED FROM BARBER’S BLOG SITE, BUT HERE IT IS IN IT’S ENTIRETY. If you have been attending or watching recent City Council meetings, then you probably have heard statements from a group of citizens alleging a variety of inappropriate actions, such as favoritism towards a local developer, unauthorized spending by our former City Manager, loans from the sewer fund to the Redevelopment Agency (I blogged about this earlier today), and funds used to demolish property for the “Raincross” development. Yesterday, the City received a copy of the determination letter from the District Attorney’s Office, along with a list of the individuals who presented the information to the DA (see the title of this blog for that list), regarding these allegations. I am pleased to share the letter with you (click on the DA Letter link to read) and to let you know that the DA concluded that no criminal acts occurred as a result of the City’s actions. Are you for real? it’s on. Are you guys really serious that you put this in writing? This letter will be sent to the Attorney General and the State Controller and let’s see what they have to say. the city spinners are at it again and now they have the DA in their pocket. Wait till the feds see this. Scott, the city is in big enough trouble as it is and you are going to try and challenge us. Go for it!!! If you are really transparent, post this. You might actually get someone to read your blog, because we are going to post our response. This took the DA a year to respond? Get a grip. One can see that if citizens have concerns locally with city officials in violation of the city charter, where do they take their concerns for investigation, if not District Attorney Paul Zellerbach’s office? Any guesses? This is the problem and the following scenario is reflective of this, as noted in Mary Shelton’s blog five before midnight, how do you investigate an official and have him sponsor a fundraiser at the same time? This is why investigations of politicians conduct can’t be local. Again, the determination of our concerns was assessed by a one time meeting and never followed through appropriately with a secondary or tertiary meeting. Or in our estimation never investigated appropriately to the satisfaction of our community and individual concerns, of which was expected by this department. First, Vicki Hightower, had our contact information on file, it’s quite paradoxical that she asked that the letter be forwarded, since there was no contact information. She does have our email, and further, the DA’s office has been quite adept at collecting and filing our articles regarding TMC postings. We consider the DA’s office quite resourceful at attaining this information if necessary. So, I’d like to address this question, the primary reason are group of concerned citizens contacted and met with District Attorney Paul Zellerbach, was the issue of Connie Leach, whereby the contracts and issues of concern will come out shortly. The items listed in the letter coincidently received by Mr. Barber, were discussed, but not the primary reason for contacting the DA. By the way, I’d like to take this time to thank Mr. Barber for giving me top billing in his posting title. You may observe, the issue of Connie Leach is not mentioned in this letter. The meeting took place in confidence, and we were unaware of the possible collaborations between city officials and the district attorney’s office thereafter the breach. But questions arose regarding the associations between the DA, the City and The Grand Jury, not only when you view campaign support, but there close association within the working environment. What’s quite interesting was the file of TMC articles the DA’s office had in their possession and their request to know who were the writers. The cards appeared to change before our eyes. Were we being the ones investigated? Who would be the the enforcement agency regards to city charter violations , if not the DA’s office? According to the letter, in many instances they are washing their hands of any responsibility. It is our understanding and the accepted standard in other cities that the DA’s office is responsible for enforcing any violations of the City Charter etc. Sewer Fund Loans; not sure why the DA’s office is playing symantics with us, but the ordinance is very clear, it states exactly what these funds should be used for. It appears that the DA’s argument remains toward the premise that ‘nothing in the ordinance specifically prohibits the specified loans’. Bingo, that is also correct, there argument is that ‘nothing specifically states you can’t’. A DA diversion? But again the ordinance is very clear on what the funds should be used for. It states that such revenue (sewer) shall not be used for the acquisition or construction of new street sewers or lateral as distinquished from the main trunk, interceptor or outfall sewers. So therefore, why would monies from the sewer fund be transferred from a local City fund to a State Agency (RDA) in what is know as an ‘inter-agency” loan. When RDA is reflective of an agency of new construction, and the ordinance states this money cannot be used for new construction. The DA’s office went on to say that if there was such a provision, it still would not be a crime for the District Attorney’s office to address, because it would be a violation of the City ordinance. So who would be the appropriate source of contact for this concern? We have been told it is the DA’s office. We wouldn’t think for a moment that it could be the City. Whereby the city would investigate themselves on this violations. So the question remains.. Again, the DA’s office did not address the concern clearly, except to say that if there was not an ordinance saying you could not make a loan from the Sewer Fund., and of course this is also correct. There is none. But they didn’t consider the ordinance at its’ direct face value? In doing so, do ordinances, provisions and laws truly mean anything at all? A loan from the Sewer fund to RDA, would be consider an ‘inter-agency’ loan. Even then would have to serve a sewer purpose. Again the DA diverts attention from his office to allow the City Manager Scott Barber to state no criminal actions occurred within the auspices of the DA’s office. Though, the DA states, if there was an ordinance, which there is, it would a ‘violation of the city ordinance’. So who enforces violations of city ordinances? Please Mr.DA, you know exactly what the intended meaning of this charter ordinance meant? Response by the DA’s office regarding former City Manager Brad Hudson’s discretionary spending. Former City Manager Brad Hudson’s total discretionary spending as indicated below. Brad Hudson’s discretionary spending. City Manager Scott Barber addressed this issue in a posting. I also responded. Ability to enter into contracts up to $50,000.00 is available to City Manager, not all department heads. Contractual agreements up to $50,000.oo without council approval was entered in after the firing of former City Manager George Carvahlos. Mr. Carvahlos was a true Riversidian and was against much of what the current council wanted. Which included Ed Adkison, Frank Schiavone, Steve Adams and Mayor Ron Loveridge. Hudson was brought in and the contractual agreement clause was raised from $25,000.00 to $50,000.00. Fifty thousand is alot of money, and again their were no guidelines which encompassed the proper spending of that amount to prevent spending abuses. One could spend $50,000.00 daily, or one could spend incremental amounts in what is known as bid splitting. Again Mr. Zellerbach, we are talking about apples and oranges when comparing the City Manager’s discretionary spending for fiscal year 2009/2010 is $299,685.00 when compared with Parks and Recreation of $2,000,000.00. Our public records for City Manager’s discretionary spending for fiscal year 2009/ 2010 for contracts under $50,000.00 comes out to $29,554,005.19. You also state that the 2009/2010 discretionary spending under $50,000.00 is $299,685.00. You are off by $29,254,320.19… I don’t think you are seeing the complete spending picture, these are contracts under $50,000.00 approved under City Manager’s or Department Heads authority. The City Manager is ultimately responsible for all spending even over the Department Heads authority. Therefore, the amount in oversight by the City Manager is $29,254,320.19. Response by DA’s office regarding favoritism by the City of Riverside toward developer Mark Rubin. Dennis Morgan (aka. Larry the Liquidator) of IPA, which is the contracted property management company for all the City of Riverside’s properties. Why does he also manage properties of Developer Mark Rubin, to what was mentioned at a land use committee meeting of in the neighborhood of 15,000 sq. ft. Mark Rubin is a property developer for the city, one of the properties is the vacant and unfinished Raincross Promenade project.” They even exchanged accolades at a Land Use Committee meeting in which they acknowledge themselves as “compadres”, in my estimation, as a figure of speech in regards to their close ties. We have several witnessed who will attest that this occurred at a land use committee meeting. But I guess it is not pertinent enough for the DA to address this issue on a constructive basis that would allow pertinent information to evolve..
Again the DA states if this allegation occurred in (b) it would be a violation of RDA guidelines, not the DA’s responsibility. If it isn’t there responsibility, isn’t it there responsibility to direct us to the appropriate office that could address our concerns? Favoritism by the City toward Mark Rubin cannot be documented, that is true. I agree with the DA’s office, this would be a hard nut to crack without solid evidence, such as bribery. But is it plausible to connect favoritism to the definition of nepotism? Nepotism occurs in the city, but never addressed. We have an instance such former councilman and mayoral candidate Ed Adkison at the Friday Morning Club Janet Goeskie Senior Center on February 23, 2012 stating that the City’s relationship with Connie Leach was ‘nepotism’. Adkison was on the council during the Connie Leach allegations. We also had councilman Steve Adams brother reviewing red light camera tickets. Do you think if a Councilman received a ticket violation would they fulfill their obligation to pay it? Or would it be surprisingly cleared from the system? According to the DA, favoritism in their office must indicate documented bribery, otherwise it is out of the DA’s scope of practice. No documentation indicates bribery between the City of Riverside and developer Mark Rubin. Response by the DA’s office regarding the demolition of the Swiss Inn, a Raincross property. The following document shows that payment of $44,770.00 as indicated in the notation in the above document from former City Manager Brad Hudson’s discretionary fund. The above document is on page 231 of former City Manager Brad Hudson’s discretionary sprending account for the amount $44,770.00 indicated in the above notion referring to Fund 476 University Corridor/ Sycamore Canyon Capital Project paid to Dakeno Demolition. -An upset Marquez believes RDA is purchasing his property, and finds out later the Developer is purchasing it. -Actual sale doesn’t record until 11/09/2006 with Mark Rubin’s name all over it. 09/19/2006: Redevelopment memorandum-item #11, Resolution of necessity to acquire 1st to 3rd properties-approved by city council, no resolution document exists, therefore no land acquisition should have taken place or developer (Rubin) was required to put into escrow monies to acquire property, pay for demolition, clearance, and relocation fees. 5.4 million dollar sewer transfer took place to pay for relocation, clearance, and demolition fees, deposited into escrow fund. 5.4 million sewer inter-fund transfer occurs according to council report but the sewer fund is not the loan of record, the worker’s comp and the electric fund are the receivable loan until August, 09 Money is not moved from the sewer-fund until August of 2009. Money is posted to sewer fund June 30, 2009. Why would an employee fraudulently back-date the postings of the sewer fund? 09/19/2006: DDA AMENDMENT FOR RIVER REGIONAL FOR 256 UNITS. IN A CITY EMAIL MARK RUBIN TAKES OVER ESCROW. HE WILL CLOSE THE ESCROW AND FLIP PARCELS TO THE AGENCY. 02/08/2007: PERMIT ISSUED: CITY DEMOS MARK RUBIN’S PROPERTY SWISS INN, $44,700.00 as stated on permit. 03/06/2007: CITY OF RIVERSIDE PAY’S DAKENO DEMOLITION $44,700.00 VIA FUND 476 UNIVERSITY CORRIDOR/ SYCAMORE CANYON CAPITAL PROJECT. 07/16/2008: GRANT DEED TRANSFER/SELLS (FLIPS IT) FROM REGIONAL PROPERTIES INC. (MARK RUBIN) TO RDA. Item #5: Transfer of Redevelopment Agency (RDA) real property to the City. Response by the DA’s office regarding the issue of illegally transferring Redevelopment properties back to the City. OK Scott, did we miss the part of the transfer of 149 properties from the Redevelopment Agency back to the City before the June deadline? We brought this to City Council a year ago, and was discounted. Even you City Attorney must have missed this one, or even your $400 per hour Best, Best & Krieger outside legal help missed this one. This was a violation by the city that the DA addressed, but was not addressed or mentioned on your blog appropriately in detail by you. Knowingly that a violation had occurred, is it not in the DA’s position to forward this to be investigated by the State Attorney General? Regarding Connie Leach, former Chief of Police Russell Leach’s wife. TMC will post our concerns and allegations that the DA’s office and the Riverside Grand Jury to our knowledge, considered baseless, or without merit. But questions still remain regarding the use of Police Asset Forfeiture funds in payment to Connie Leach, while her husband Police Chief Russell Leach was in charge. Our position will posted. What we find is that the DA’s office is not the appropriate office to address our concerns and allegations. Though, when asked who would handle violations of charter at the City level, we were directed to the DA’s office. But all local entities were exhausted, we went to the appropriate entities at the State and Federal levels. Yes this is all true, Scott is right, no criminal actions at the DA level, and I’m sure no criminal actions at the City level, because as you would also find, that the City Attorney, Gregory Priamos would call this baseless. Some may say that this is a system created by a few, to work for a few. But I believe there continues to be something wrong with this picture. Something that reflects a triage of influence by these entities. Creating a difficult arena for local residents to address their concern without some sort of retribution, slanderously or financially, or what some in the city say, ‘client control’ tactics. And that is my opinion. It may be right, it may be wrong but we will continue to investigate and learn the language of municipal politics.. Final word, we do appreciate City Manager Scott Barbers dialogue. But we have to remember the DA’s office never addressed the issue of federal cold plates, illegal gun sales, illegal badges, fillegal law enforcement/emergency lights, fraudulently and illegally applying for concealed weapons permit with a false address, overlooking DUI’s and ticket fixing. If this was anyone other than those in the office, such as the common citizen, we’d be in jail, and people have one to jail. Of course, these violations would not be handled by the DA’s office, which is actually true…but again …who would? And if they were responsible for oversight of these violations, would they actually mitigate them? And would they contact or forward these issues to the proper legal authority? Is there a triangle of influence connecting the City, DA and Grand Jury? Is there a quadrangle of influence connecting the City, DA, Grand Jury and Judges? Is there actually a pentagonal angle of influence which would involve the State? Pentagonal in the sense that what do citizens do when they have utilized all resources without any reasonable response? We have addressed this pressing issue in a TMC article. These would include the City Attorney’s Office, the District Attorney’s Office, the Grand Jury, the Superior Court Judges, and now possibly the State? Are only hope is those offices outside the State. Such as the IRS, Security and Exchange Commission, the Department of Justice, the FBI etc. What do you do as a concerned citizen when the majority of the City Council is tied in with the Distric Attorney Paul Zellerbach? CLICK ON THE IMAGE TO VIEW THE PIC. Some public servants have said to bring such issues to the forefront is to ‘political’. Even if the issues are right, they will not act on it, therefore leaving a conclusion that is vague and clandestine. Therefore giving reason that the public is not important. It then appears that one completely discounts the oath that was taken to serve, and placing their own interest as primary, superseding the public interest. This is what most people in the community feel and are angry about. Further, voters don’t vote because they feel it does’nt really matter..and in many ways they are right. But they need to get involve at a different level. I do feel at some levels that this letter was ‘orchestrated’ and ‘designed’ in many way by one or more political elements within city to divert and mitigate the actual concerns of the public as simply having no merit. Further, to strategically label us as uninformed individuals. This would only safeguard their political compulsory obligations to maintain their positions, supporting constituents and of course the ‘status quo atmosphere of illusionary stability’. Another aspect to remember is that the DA’s office did not take upon themselves to even investigate our allegations. They made their opinion simply on our one time meeting and the information we submitted that needed further investigation by his office, which was not done. A step further, their opinion may have allegedly been made after contact with the city, further breaching our confidence as concerned citizens. Many of these issues, according to District Attorney Paul Zellerbach’s Office, simply must be forwarded to the State Attorney’s Office, of course, we assume, the appropriate office to deal with these issues. City violations of the City Charter, as we understand, are to be directed toward the DA’s office. But what we are told by the DA, “was it illegal or just bad business”? Our we to accept as concerned citizens that bad business is an acceptable premise for city business? City business that doesn’t have a public or constituent benefit? When does bad business cross the line? When does it cross the line into the gray line of illegal? Our these departments of oversight really there to be good fiscal stewards of the people in which they took an oath to protect and serve? If you view the premise of this blog article, this is more of a hit piece against Vivian Moreno, Dvonne Pritruzzello and Mary Figueroa by DA Paul Zellerbach and Riverside City Manager Scott Barber to discredit their concerns or mitigate their allegations? Can we call it collusion? Regardless, what can I say, ‘This is Riverside’. Again, our concerns were originally with Connie Leach, and TMC will be posting our findings in “Hush Money II” that were suddenly rejected by the Riverside Grand Jury, without fully investigating each respondent and fully evaluating the documents submitted and requested from the City of Riverside. The Grand Jury had requested asset forefeiture records from the City of Riverside and failed to continue their interview process in order to fully complete their investigation. Instead, decided to relieve themselves of their duty to act on citizens concerns by acting not to act. Was the result allegedly orchestrated or meticulously created by design in order to mitigate any unintended repercussions? Considering the DA’s TMC article file (kinda reminds me of Hoovers FBI files), considering the questions that were asked, in turn, were we actually the ones being interviewed? Was this a last ditch effort in their process to protect the family? Were we actually dancing around the issues?… and a final question, what is your connection with local Attorney Virginia Blumenthal ingrained on your ribbon above the tutu? and how many are truly ingrained within the family called ‘Riverside’? UPDATE: 06/16/2012: Pravda Press Enterprise continues it’s art of molding popular public opinion? Does our Chief Sergio Diaz have a starring role? PE leading the way to absolutely no comments? WHAT’S WRONG PE? CAN’T HANDLE THE TRUTH ABOUT OBAMA & ILLEGALS STEALING AMERICAN JOBS? WHY YOU SENSORING ALL THE COMMENTS THAT ARE TRUE. WE ARE IN AMERICA ( OR I THOUGHT ) WE HAVE FREEDOM OF SPEECH SO LET OUR OPINIONS BE KNOWN!! – obama hater, commenter on the Press Enterprise possibly prior to being censored..
are commenters actually the ones censoring? Other commenters make a case in point that comments with the highest approval ratings are being deleted or removed, especially when the comments don’t violate their guidelines..
UPDATE: 06/16/2012: REDLIGHT CAMERAS IN THE NEWS AGAIN: Press Enterprise Alicia Robinson new posting on her blog regarding the issue of redlight cameras. TMC had our own comments regarding redlight cameras as revenue enhancers over safety issues. While Councilman Paul Davis voted against the renewal contract back in 2011, Councilman Andy Melendrez voted for it, Councilwoman Nany Hart voted for it, Chris MacArthur voted for it, Councilman Steve Adams must have voted for it to keep his keep his redlight camera reviewer brother Ron Adams working, Mayoral Candidate/ current Councilman William “Rusty” Bailey and Independent Voice for Riverside voted for it, even “I have no such plans to run for mayor”, of course, mayoral candidate and current Councilman Mike Gardner voted for it. And voted for it as a safety issue, as opposed to a revenue enhancer, and discounting studies countering the psuedo statistics they were provided. But to now lose $1,154,000.00 in anticipated revenue projections according to City Manager Scott Barbers proposed budget? The question remained that it was a bad deal last year when the proposal to renew the contract went in front of Council. Councilman Paul Davis saw through it and didn’t vote for it, the rest did, and now how will they vote this time? Vote for renewal, is a vote to continue hard earned taxpayer money down the toilet. UPDATE: 06/18/2012: CITY OF RIVERSIDE TO REMOVE RED LIGHT CAMERAS! COST CONSIDERED A FACTOR IN THE DECISION FOR THEIR REMOVAL..
UPDATE: 06/17/2012: ARE REDLIGHT CAMERA COMPANIES, SUCH AS AMERICAN TRAFFIC SYSTEMS BANKROLLING COUNTERSUITS AGAINST VOTER BACKED INITIATIVES TO REMOVE REDLIGHT CAMERAS? Recently a story was leased in the Press Enterprise regarding the City of Murrieta and a voter backed initiative to remove redlight cameras. Former council candidate and former chairman of Murrieta’s Public Safety and Traffic Commission Steve Flynn, in conjunction with the law firm Bell, McAndrews & Hiltachk counter sued. Steve Flynn skewed the issues when interviewed by KFI’s John and Ken Show. Listen to this interview in it’s entirely by clicking this link. At the end of the interview on this show, John Kobylt stated toward Steve Flynn, “You have zero credibility”! Questions arose on who is bankrolling these counter suits against citizen voter initiatives. Mr. Flynn didn’t know who was financially backing the Murrieta suit, although his name is on it. But appears that in other states that these counter suits are occurring, the redlight camera companies as American Traffic Systems are bankrolling them. When Ken Champou asked Flynn asked, “Why can’t people vote to get rid of them”? Flynn responded referring to the people, “they were misinformed”. UPDATE: 06/17/2012: SACRAMENTO BEE: EDITORIAL: TIME FOR CALIFORNIA TO PUT AN END TO ‘DOUBLE DIPPING’? Case in hand, editorial mentions former Riverside City Manager and current Sacramento County Executive Officer Brad Hudson. Currently, it appears that ‘double dipping’ is a public sector phenomenon, whereby some government workers can retire as early as age 50, receive a CalPERS pension check and get another government job. You better believe this would never occur in the private sector, because you are dealing with company money, and it is watched carefully. In the public sector where taxpayer money funds salaries and pensions, it may appear to some government representatives guarding the till as ‘funny money’. According to the editorial this type of activity show a failure, a failure to recruit and groom entry level and midlevel people to replace aging baby boomers. Currently, if a retiree recieves a pension and a government salary, it appears that retiree no longer contributes to the pension system, therefore placing a strain on an already strained public pension system. But if one transfers from a different local which has their own pension program, to new local with their own, this scenerio wouldn’t apply. So it ask the question, “Should California do what New York does”? Retired government workers under 65 who return to public employment cannot receive pension payments if eartnings reach beyond $30,000.00. Questions arose when current Riverside Police Chief Sergio Diaz retired from the Los Angeles Police Department, as Deputy Chief at 55 years of age in March 31, 2010, to begin his new job of Riverside Police Chief July 1, 2010. Diaz was hired by former City Manager Brad Hudson, and in unison with former Assistant City Manager Tom Desantis. UPDATE: 06/18/2012: YELLOW BRICK ROAD TO EMERALD CITY? The City of Riverside has been labeled the ‘All American City’ in 1998, and christened the first ‘Emerald City’ in 2009, all we need now is the ‘Yellow Brick Road’? The City of Redland’s has it’s ‘Orange Blossom Trail’ ( which in my opinion should have fittingly been in Riverside), the City of Indianapolis has it’s ‘Cultural Trail’, so why not? Let’s build a yellow brick road. Passed on last week’s consent calendar is the creation of the signature ‘Yellow Brick Trail’, linking UC Riverside to ‘Emerald City’, of course, to our wonderfully blighted Downtown Riverside. According to the Press Enterprise the biggest concerns are the loans the city made to the redevelopment agency. Ramirez said they were legal when they were done, which was long before the 2011 bill that ended redevelopment existed. State officials have cited the law’s section that says loans between the city and redevelopment agency are not “enforceable obligations.” In other words, ‘not legal’.. Ramirez goes on to say that at the June 16 meeting what started out as $158 million in questionable Enforeable Obligations by the State, that $60 million of that was unknowingly added as a ‘book keeping line item’. This $60 million with 2 other similar items which add up to what he is calling ‘ the $80 million mistake’, which the State says are not payable. This would appear to mean that the taxpayer is responsible for this $80 million??? and the ‘Ramirez Spin’ continues, if it shouldn’t have been there to begin with, it was never there? UPDATE: 06/19/2012: NOW IF ANYONE WHO LIVES IN THE CITY OF RIVERSIDE KNOWS, IF THEY WERE TO TURN PLANS OR ATTEMPTED TO CHANGE THEIR WOODSTREET HOME, OR JUST DO IT ANYWAY, WOULDN’T WE HAVE THE WRATH OF CODE ENFORCEMENT ON THE RESIDENT? THEN HAVING TO RATIONALIZE WITH COMMADANT PRIAMOS OR EXPERIENCE SEVERE FINES? SO HOW DOES THIS HAPPEN AT ALL? OH, THESE ARE THE NEW RENDERINGS SUBMITTED FOR THE DOWNTOWN LIBRARY, AMONG OTHERS SUBMITTED TO THE CITY OF RIVERSIDE. NOT SURE AT THIS TIME, WHAT ARCHITECT SUBMITTED THEM OR HOW MUCH TAXPAYER MONEY WAS PAID, BUT CERTAINLY FLOWS WITH THE EARLY CALIFORNIA REVIVAL? AROUND DOWNTOWN? OR DOES IT? 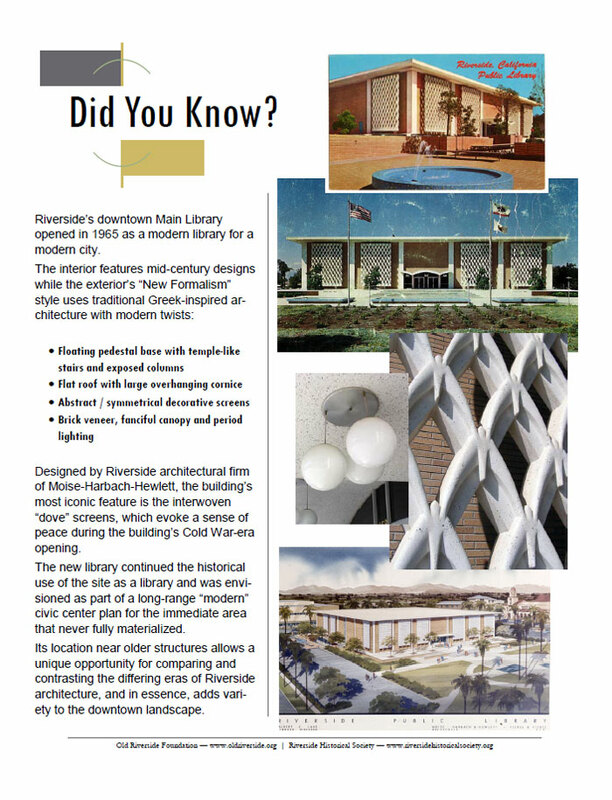 BUT CLICK THIS LINK TO UNDERSTAND THE HISTORICAL AND ARCHITECTURAL BACKGROUND OF THE DOWNTOWN LIBRARY. Press Enterprise Dan Berstein has their take on this Architectural (or animal ?) rendering, and Alicia Robinson talks about the new library design, please don’t throw stones..
Will the remnants of the mayor continue to pull the strings? Ugggh…Call Public Works and tell them we will need another change order! Now, for an update of how commenters feel about the current immigration issue in the Press Enterprise…….well okay, how bout page 5? 6? 7? hmmm….well we’ll have to just check back later. CITY OF RIVERSIDE: OFF THEY GO….THE MAYORS RACE 2012! … RUNOFF THIS NOVEMBER 2012 BETWEEN BAILEY AND ADKISON! CITY OF RIVERSIDE: UNDERWATER AND SHOCKED BY HIDDEN UTILITY TAXES?